October is National Arts & Humanities Month. Creative conversations are taking place around the country on the impact of arts in local communities. Here in the Cape Fear region, the Arts Council of Wilmington and New Hanover County is gathering public input during its Ears on the Arts listening tour. 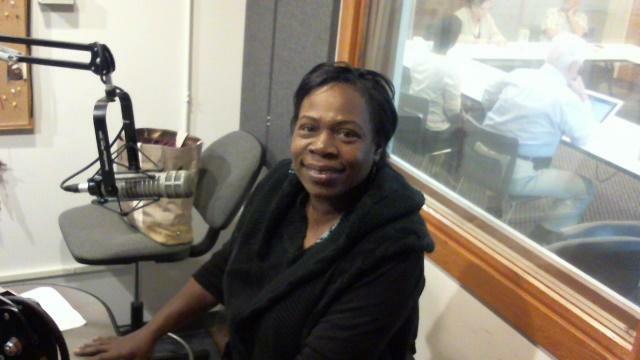 WHQR’s Isabelle Shepherd sat down with Rhonda Bellamy, Executive Director of the Arts Council, to learn more about these events. Isabelle Shepherd: What was the goal of this listening tour? Rhonda Bellamy: The Ears on the Arts listening tour was an opportunity for staff and Board of Directors of the Arts Council to reconnect with the community. We’re in the middle of formulating our strategic plan for 2016 through 2019, and we thought important to go out and engage our constituents on what impact the Arts Council has and what it can have in the region. IS: So once you have the meetings, what happens next? RB: That was the beginning of the conversation. We followed that up with a survey, and we'll follow that up with other meetings, looking at specific initiatives that we can create to help establish the region as an arts destination. IS: Your first Ears on the Arts gathering was focused on business and government. What is the link between business and the arts? RB: We do know that the arts are a multimillion dollar industry in southeastern North Carolina, employing the equivalent of 800 full-time workers, adding a million dollars in state taxes, a million dollars in local taxes. We know that a vibrant artistic scene creates the kind of ambiance that lures people to your region. We’re known for our beaches and our river, and people come to Wilmington and they unexpectedly happen upon these wonderful arts experiences. And so we want to turn that around. We do know that when they come to visit an area because they are drawn in by the arts scene, that they stay longer and they spend more. They spend it in our local shops, they stay in our hotels. And so, it’s clearly business-related. IS: What do business leaders have to gain from supporting the local arts scene? RB: The other part of that is that companies that are interested in growing and attracting a workforce that is agile and creative depends upon having a community that supports that creativity in whatever form it is. And so when you have large companies like our Cornings and our GEs and our PPDs, their employees are looking for social amenities. Generally, they are educated, they have disposable incomes, and as has been said before, people decide if they can live somewhere before they decide to work somewhere. So it behooves us to strengthen our arts community. IS: You’ve already met with business and governmental leaders, in addition to arts organizations. And you’ll gather artists of all disciplines on October 27th. Will there be any other events in conjunction with this listening tour? 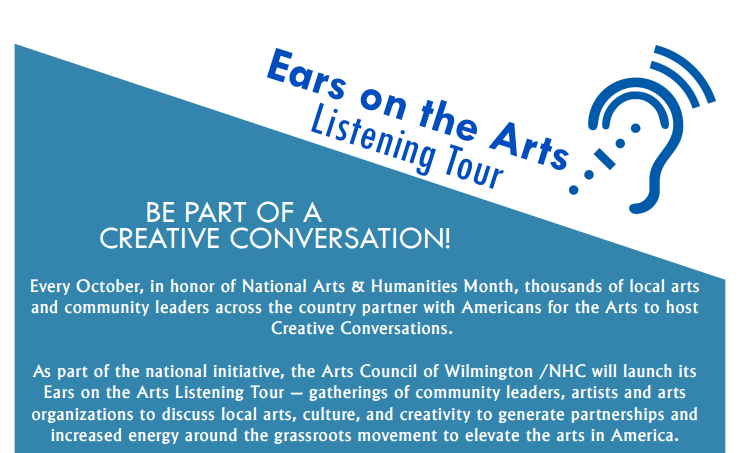 RB: Now, one of the other outgrowths of this Ears on the Arts listening tour is going to be an arts summit. 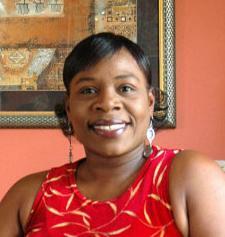 Two days of professional development, capacity-building workshops for artists and arts organizations. That will happen in the first quarter of 2016 once we’ve compiled the surveys and met with these groups and others to determine what things will look like over the next three to five years. IS: Thank you so much for coming in. Click here for more information on these events. 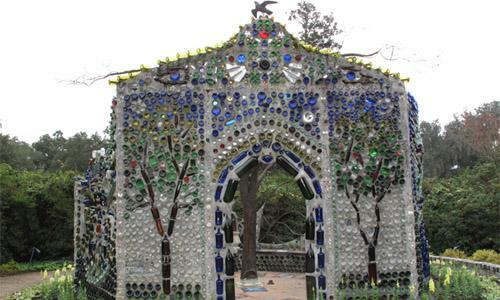 You can also check out The Arts Council of Wilmington and New Hanover County website. When many people think of the arts, they think of creative geniuses, bohemian characters – perhaps even flightiness or fluff. Despite a denied funding request from New Hanover County earlier this year, an arts council will be launched in Wilmington next month. After a three-year effort, the North Carolina Arts Council made the announcement this week. 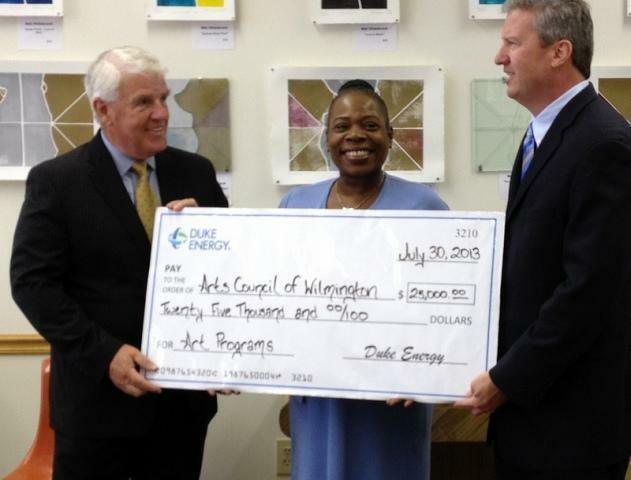 Today, Duke Energy announced its gift of $25,000 for the Arts Council of Wilmington and New Hanover County.